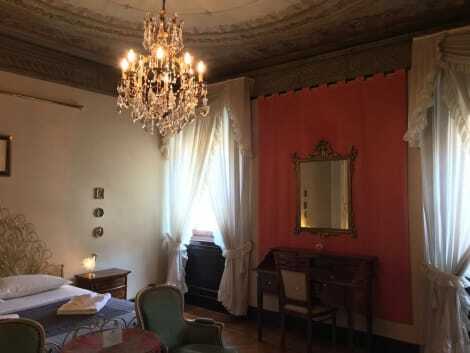 This charming hotel is situated in Ferrara. Customers will enjoy a peaceful and calm stay on the premises, as it counts with a total of 6units. This accommodation does not accept pets. Take advantage of the bed & breakfast's room service (during limited hours). A complimentary local cuisine breakfast is served daily. With a stay at Dimora '800 in Ferrara, you'll be within a 5-minute walk of Via delle Volte and Monastery of Sant'Antonio in Polesine. This townhouse accommodation is 0.5 mi (0.9 km) from Monastery of Corpus Domini and 0.7 mi (1.1 km) from Casa Romei.